It may still be summer, but my mind is already thinking about decorating my house for Fall! It is my very favorite season, hands down. Who can resist the beautiful warm Fall colors and cooler weather?? I admit that decorating for Fall on a budget is challenging, but it is still fun to do some (window) shopping on Amazon for decorating ideas. And wait till you see the affordable fall finds on Amazon I have rounded up for you! Best part? 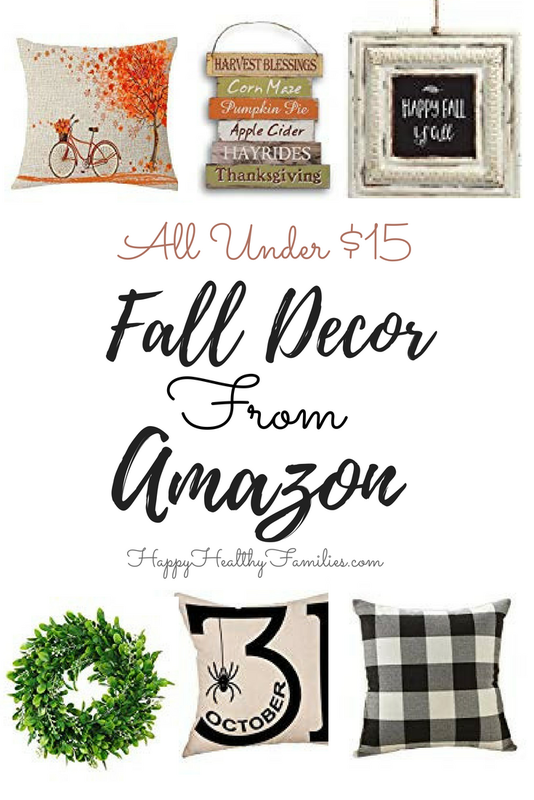 Every one of these amazing items, including the Halloween and Farmhouse pillows, are under $15.00! Which brings us to my disclosure: I am an affiliate of Amazon, and if you should click on a link below and purchase an item, I will receive a small commission that will not affect your purchase price at all. Please check out HHF's Disclosure Policy for details.